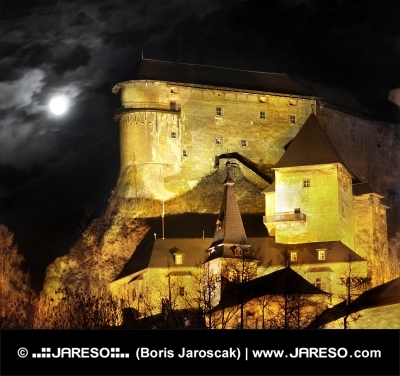 View of the Orava Castle at deep night. 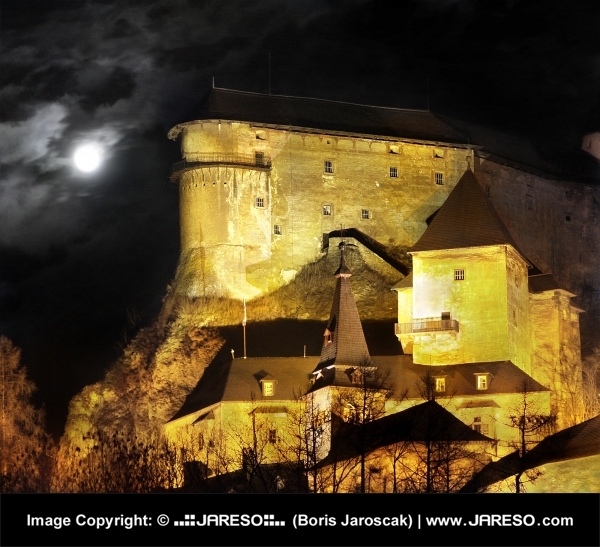 Orava Castle is situated on a high rock above the river Orava. It is located in Oravsky Podzamok town, Slovakia. This castle was founded in 13th century as a guardian fortification on the road to Poland and soon it became the centre of the Orava County. The highest and oldest object of the castle, is this romanesque citadel, other objects are from 17th century. Castle was renovated in the first half of the 20th century and it is now declared as a national cultural monument. Many attractions can be seen there including Museum, Night Tours, Festivals and much more. This castle is also a popular location for filming fairy tale, or horror movies. Many scenes of the world famous cult horror movie Nosferatu (1922) were filmed there. If you will be nearby don’t forget to visit this castle because it is definitely worth a visit. Would you like to use this thumbnail photography with the maximum size of 600x547 pixels on your websites and online projects for free of charge? You can do so without any worry and completely legally. The only prerequisite is placement of an active (clickable) link back to this site (jareso.com) somewhere on your website where this photo will be used. 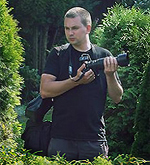 By downloading this free lower resolution image in the thumbnail size of 600x547 pixels you absolutely agree to use it in comply with copyright law and required rules.